Watch anime online, stream anime episodes online for free.Watch Naruto Shippuden Episode 8 English version online and free episodes. Anime Episode guide, Chapter Naruto Shippuden Episode 8 English dubbedTeam Kakashi Deployed Kankuro’s attacks are all nullified by Sasori’s scorpion-like tail. He eventually pierces Kankuro with his tail, inflicting him with a slow-acting poison which would kill him in three days. Kankuro is puzzled at how easily Sasori countered his fighting style, to which Sasori responds by revealing to him his identity and reminds him that he was the designer of all of Kankuro’s puppets. 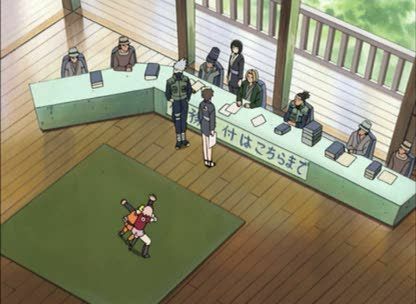 Meanwhile, an urgent plea for assistance that Sunagakure sent to Konoha arrives and is brought to Tsunade’s attention. Acting immediately, she assigns Team Kakashi to backup Sunagakure.